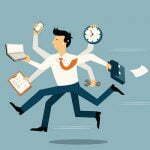 The right goals can help to optimize the internal efficiency of your business while maintaining focus on the future. 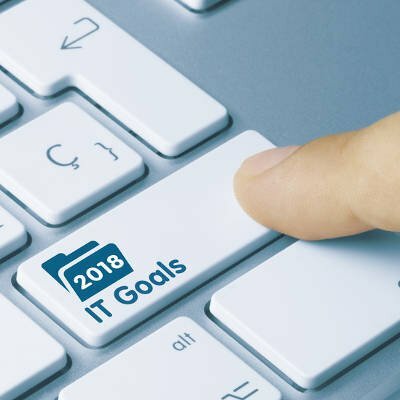 What follows are some beneficial and attainable goals to set for your IT team. Without regular updates and timely patches, the technology that powers your business would be both less efficient and less secure. 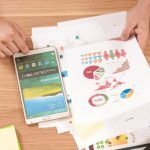 However, you may find yourself forced to choose between incorporating these improvements and fulfilling other business-critical tasks due to time constraints. Neither of these options is ideal, as either one means that you are sacrificing the safety and security of your data and your company itself. Fortunately, there are options that make it so that you don’t have to choose between your company’s operations and its capability to operate. Automation can help you to keep your solutions updated, allowing you to leverage improved tools with greater security, and a managed service provider can help you to ensure that these improvements are properly implemented as well. 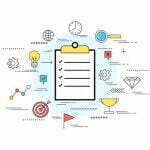 Even with an in-house IT department working on it, project implementation can be a difficult task, prone to errors and other time sinks. This is even more true if you don’t have a dedicated IT department, leaving the responsibility to your other employees, who may just not have the necessary experience to complete it correctly the first time. In this case, you are apt to find yourself wasting both time and money, as well as potentially dealing with downtime that the project was meant to mitigate. Leaning on a managed service provider to outsource your project management needs to is an effective way to boost the productivity of your in-house team. With an MSP’s assistance, you’ll know that the project was done right the first time, without needing to split resources between the project and any other issues your team may have to deal with. There is no shortage of ways that issues with your technology can affect your business and its operations. If, for instance, an employee is unable to access your business’ network, they will not be able to effectively complete their duties. As a result, time is wasted, along with other equally valuable resources. However, this downtime can be minimized through the implementation of a help desk solution, as your employees will then have a resource to lean on if they encounter an issue. A managed service provider can be a great resource as far as help desk services for your employees are concerned, as they are only a phone call or service ticket away. I.T. Solutions of South Florida can help you set, and reach, actionable business goals. For more information, give us a call at 561-582-9467.